Lancome's Hypnose mascara is 10 years old today and to celebrate Debenahams are kindly offering any Lancome Hypnose mascara for only £10! The range now consists of an amazing 11 mascaras so there's definitely a choice of wand and even colour available. I've already picked up the Hypnose Star Waterproof Mascara as I couldn't resist the glitzy packaging and thought it would be a nice treat to myself for my upcoming holiday this month. 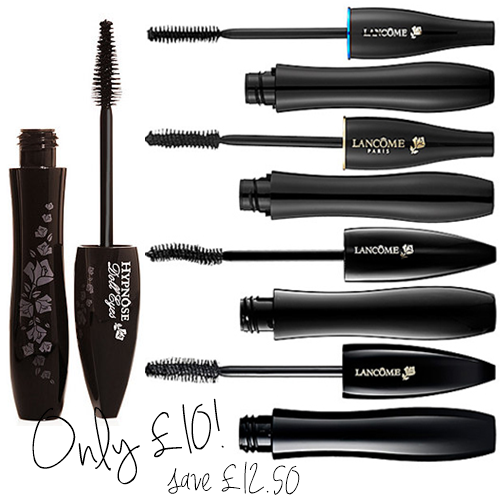 You can find all the reduced £10 mascaras here and even have your order sent to store to save on the price of delivery. The offer is for one day only (1st May) so you may have to be quick!